Make-UP Creative Folder. Complete makeup folder you start taking your first steps into the world of makeup. Make up the different models in the folder and perfect your style gradually. 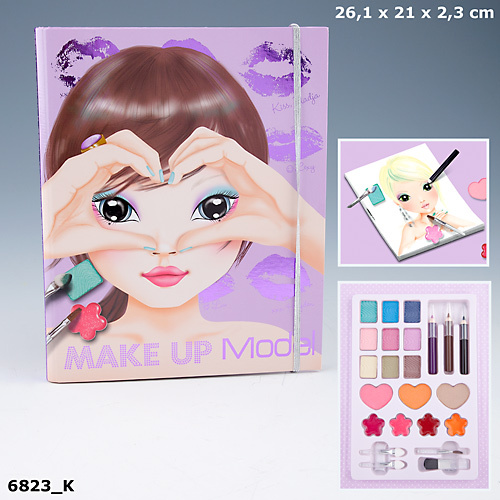 Topmodel makeup folder is planned for girls who like the styling. Experiment with eye shadows, glare or eye pencil and make magnificent new makeup. The kit includes a notebook models and color palettes. You also have included examples of models made ? ?up to serve you examples. Topmodel makeup folder measures: 24 x 19 x 2 cm.